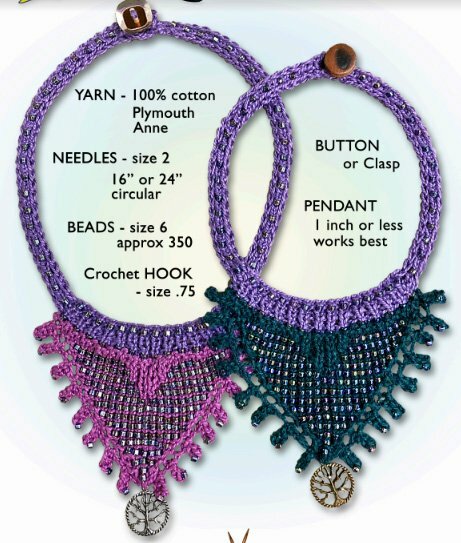 Kit includes pattern, beads, Tree of Life pendant. Choose yarn and pendant colors below. Go here to pick out your yarn, requires 2 colors. https://www.kayewood.com/shop/c/p/Circulo-Plymouth-Anne-Yarn2151-x32098557.htm Note colors you wish in the "Notes" section. Also, please indicate color of pendant desired in notes.